There are two types of electronic charts: raster navigational charts (RNC) and electronic navigational charts (ENC). RNC are exact copies of paper charts and their use underway comes naturally to navigators accustomed to paper charts. ENCs (also called vector charts), on the other hand, include much more information than possible on an RNC; they allow user-selected display options that enhance safety and efficiency; and they are easier to keep up to date. But they do not look like traditional charts, and they do not behave like traditional charts. 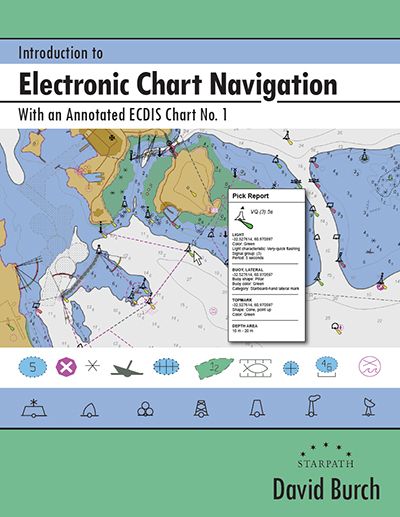 Navigation with ENCs is fundamentally different from navigation with paper charts or RNCs. This book is intended to explain the content and use of ENCs so that these important charts of the future become as familiar to navigators as their paper chart forerunners. Chapter 1 is an overview of electronic charting; Chapter 2 covers the distinctions between RNC and ENC; Chapter 3 reviews basic navigation practice adapted to electronic charts; and Chapter 4 presents a complete library of all electronic chart symbols, which differ in many respects from their paper chart counterparts. Electronic charting benefits all mariners, professional and recreational, large vessels and small, power and sail, racing and cruising. The unique information in this book should help mariners in any of these categories master the use of ENCs to enhance their safety and performance underway. There are many virtues of vector charts, but to take advantage of these, a new approach to ?reading charts? is called for. This book explains and illustrates the process.